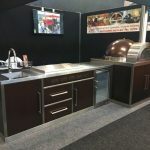 Zesti Woodfired Pizza Ovens have now launched a striking new range of outdoor/indoor stainless steel kitchens. 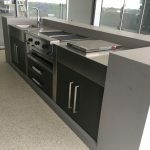 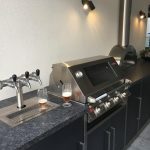 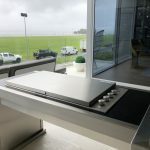 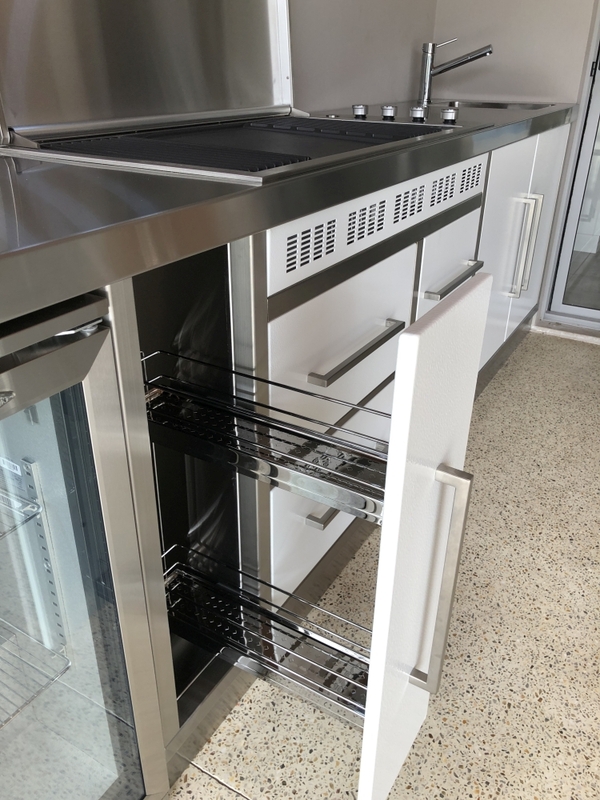 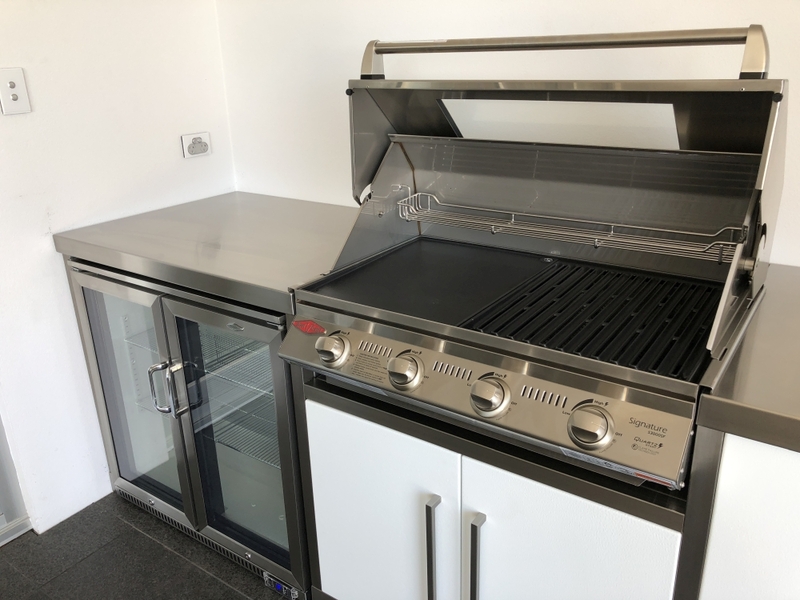 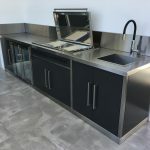 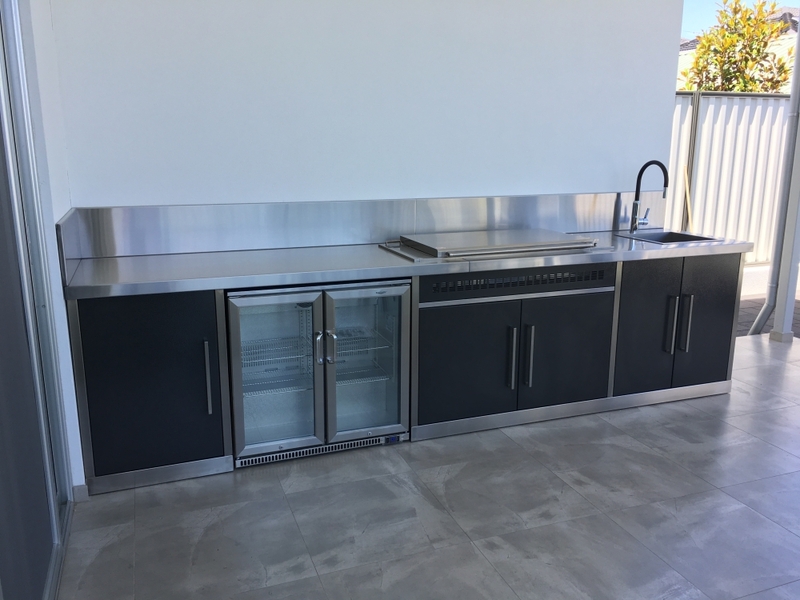 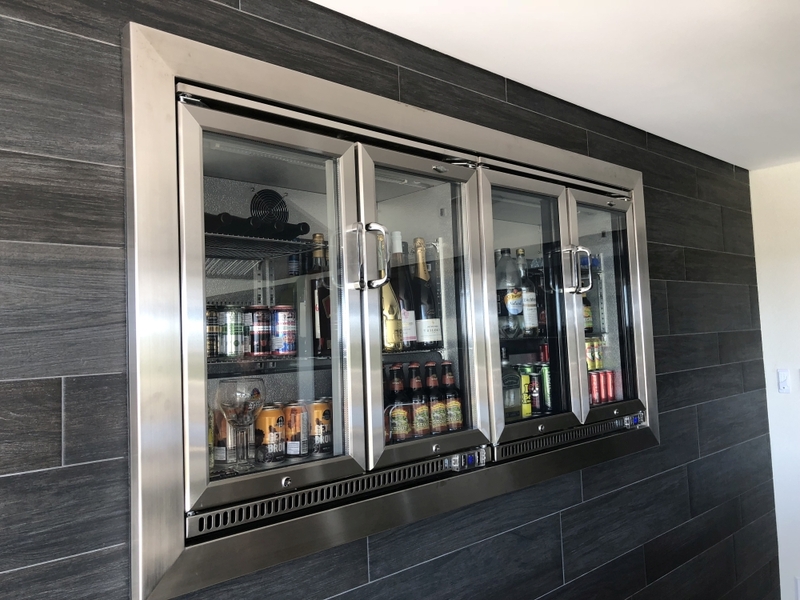 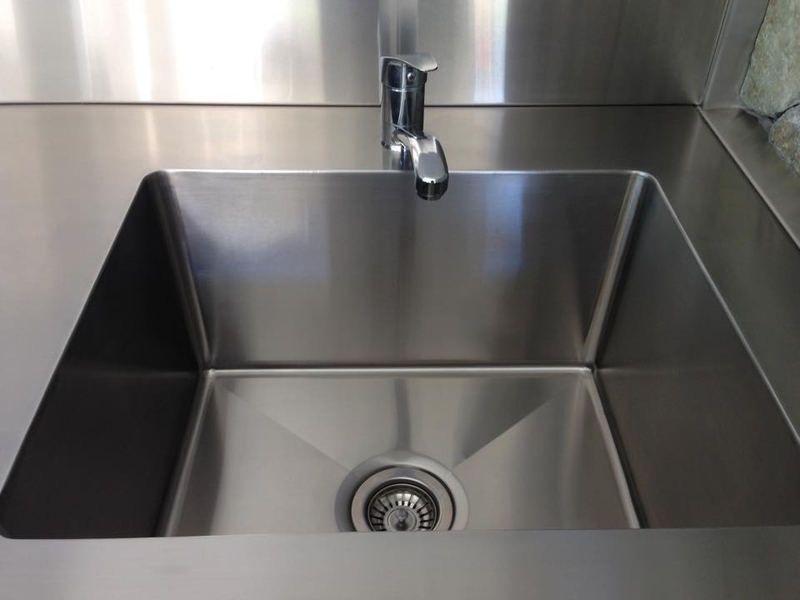 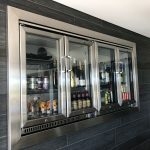 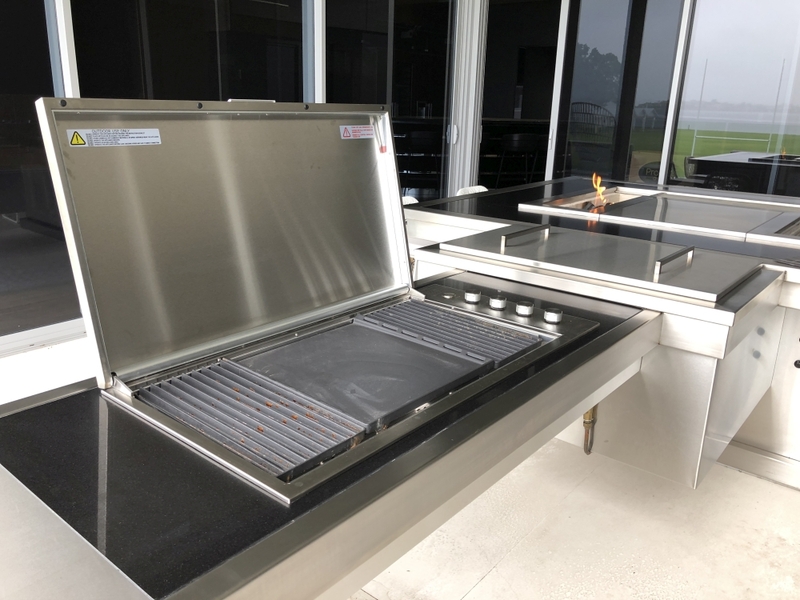 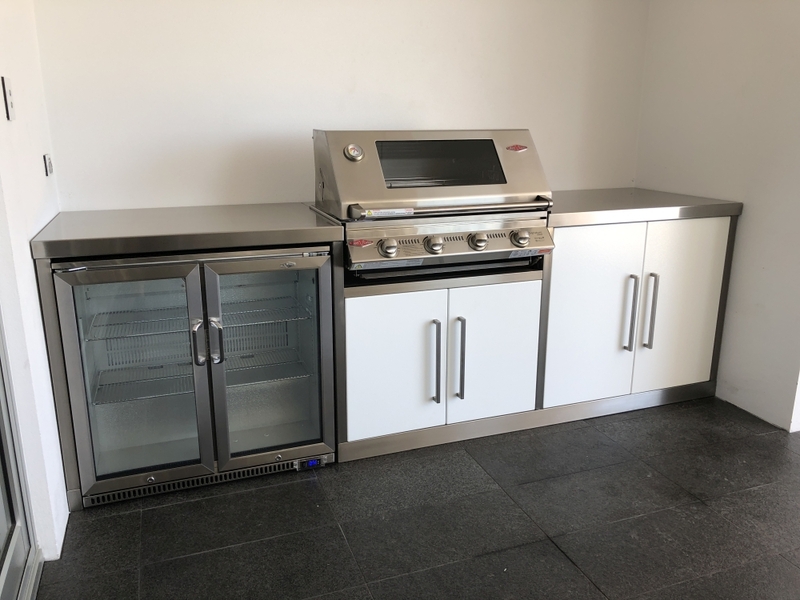 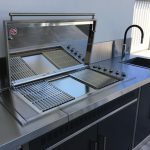 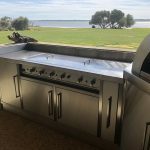 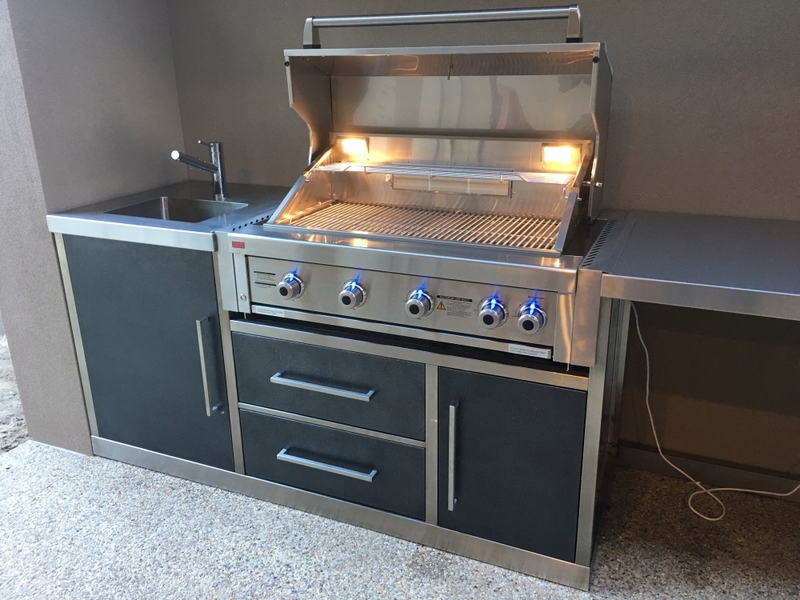 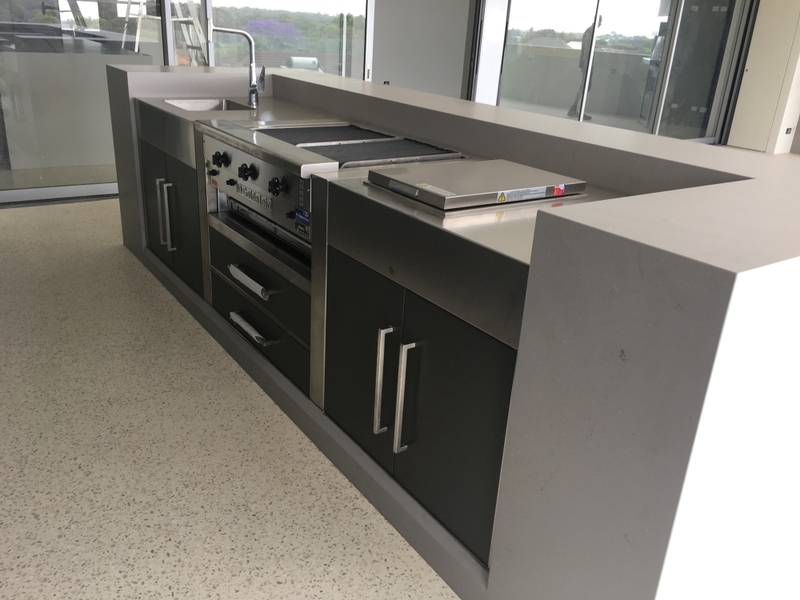 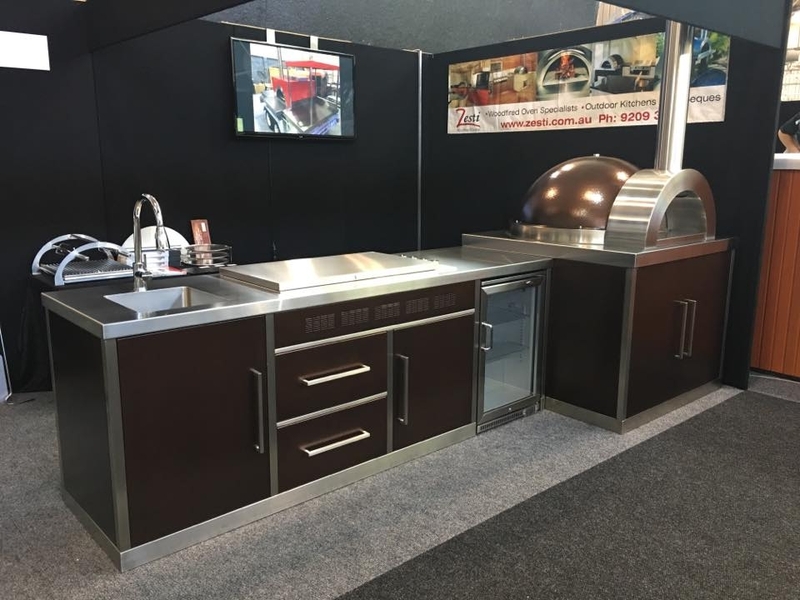 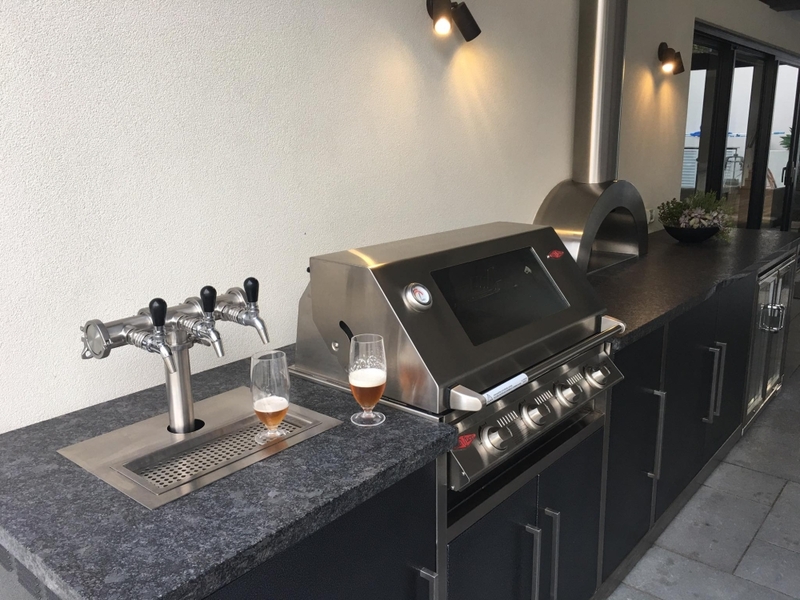 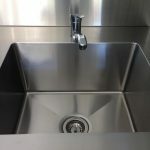 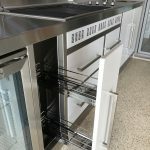 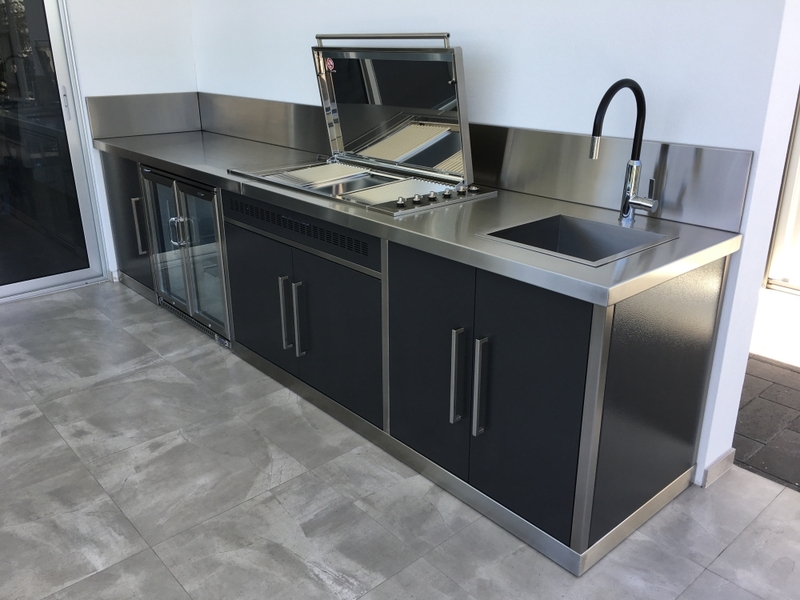 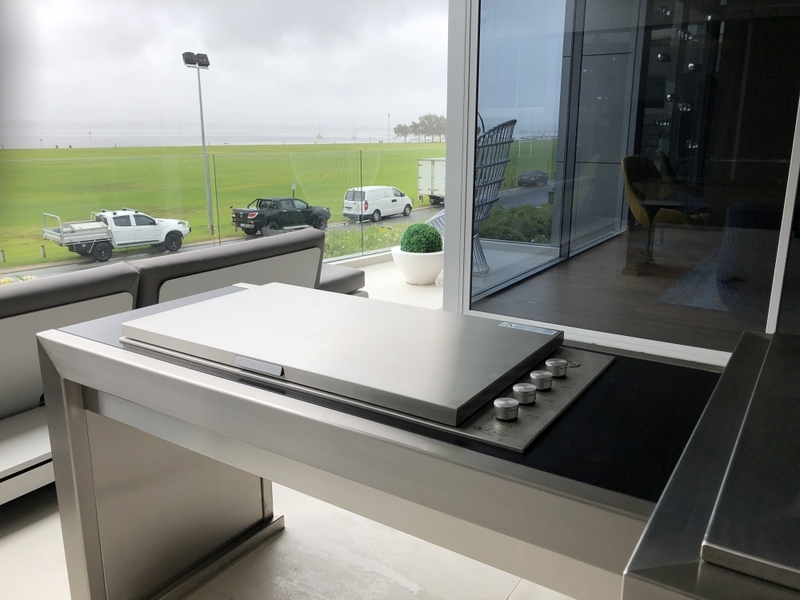 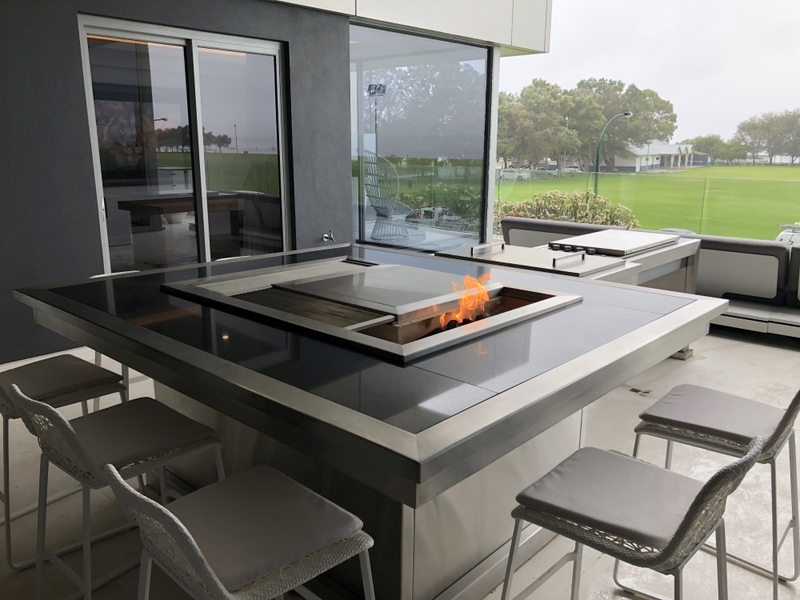 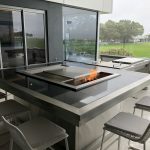 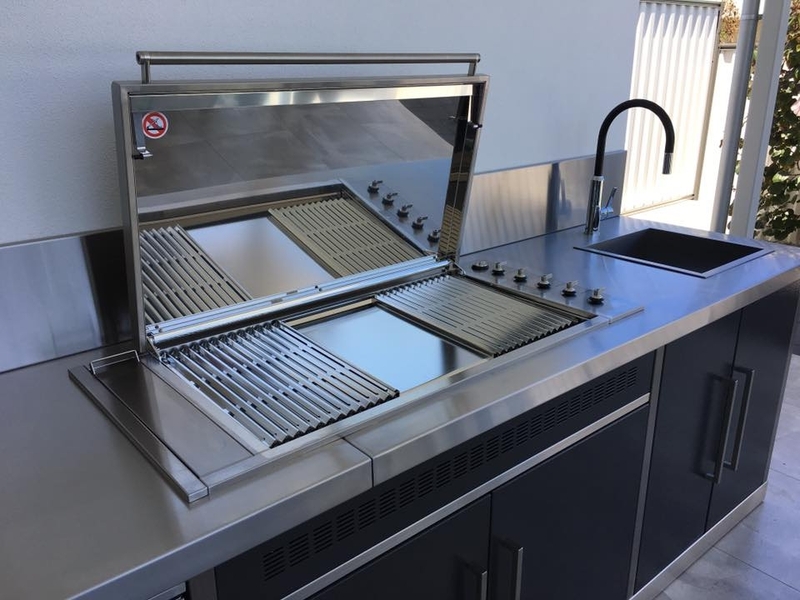 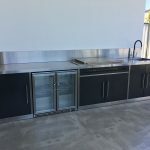 Zesti offer an extensive and exclusive range of stainless steel cabinetry that can be integrated with BBQs, sinks commercial griddles, and fridges. 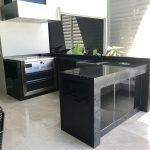 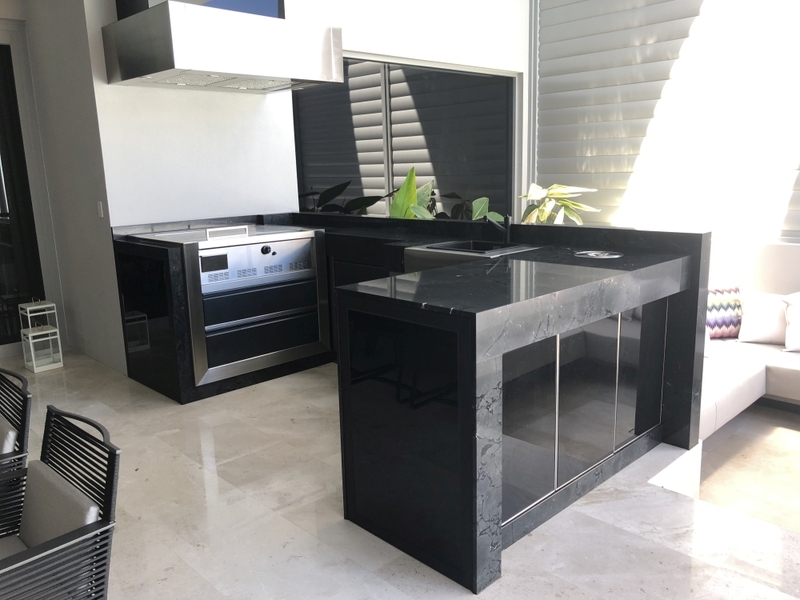 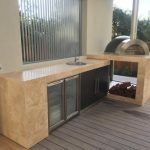 This new stunning range of cabinetry is custom designed to enhance and add value to your outdoor room and give you a wonderful world of Alfresco entertaining. 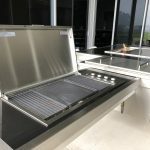 Also available for your Alfresco Kitchens are quality bbq’s at competitive prices. 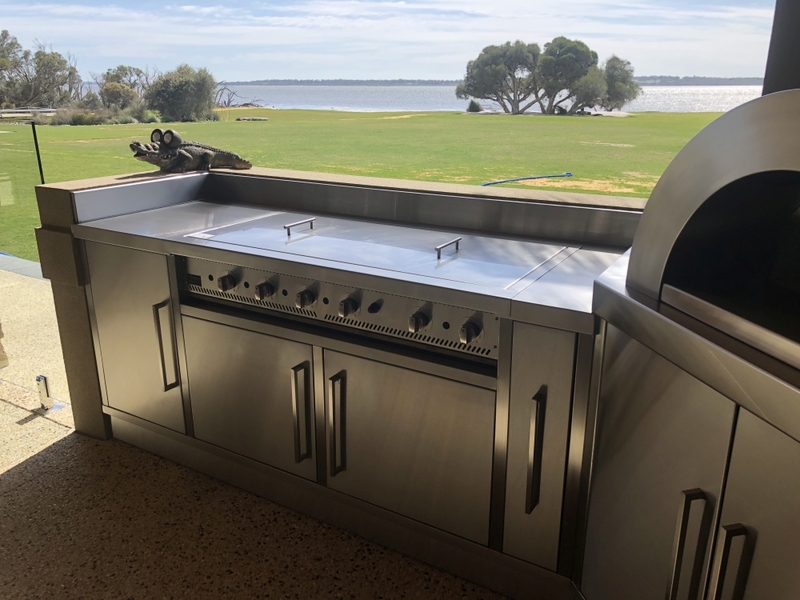 Zesti Woodfired Pizza Ovens are the ultimate in alfresco living – an investment in a lifestyle – and your “outside room”! 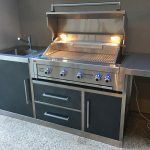 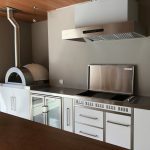 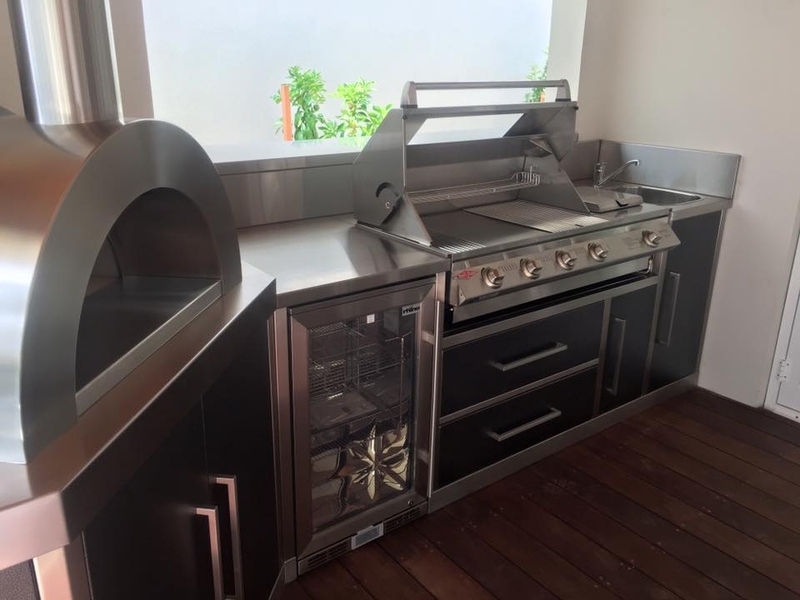 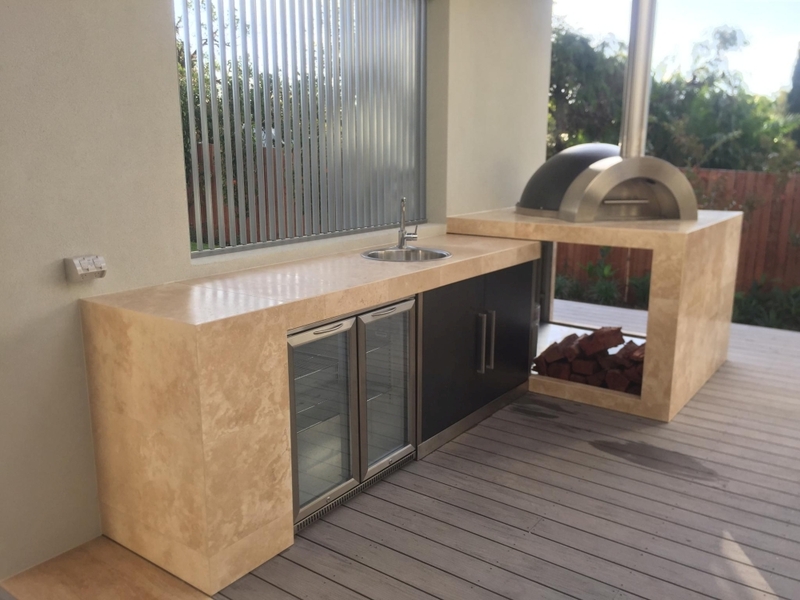 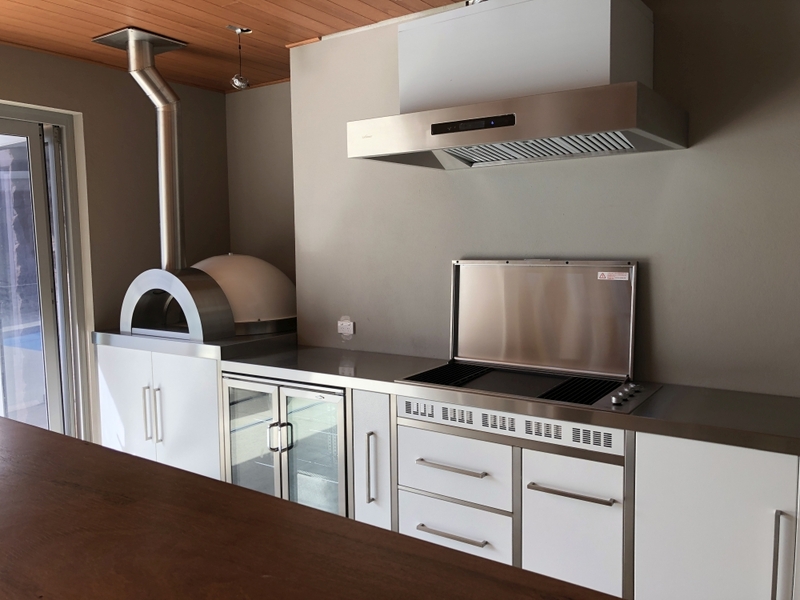 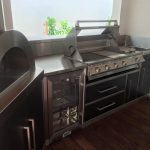 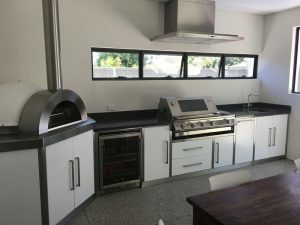 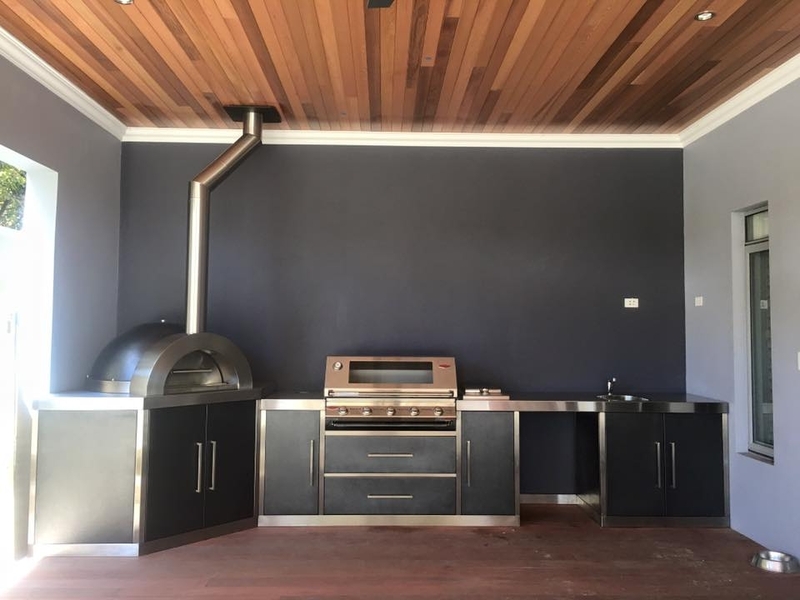 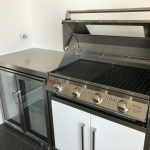 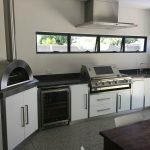 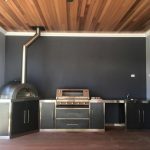 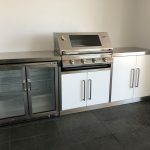 Whether you are building or renovating please call us or visit us at our showroom for your no obligation on-site quote and for our expert advice for the design and placement of a Zesti Woodfired Pizza Oven.